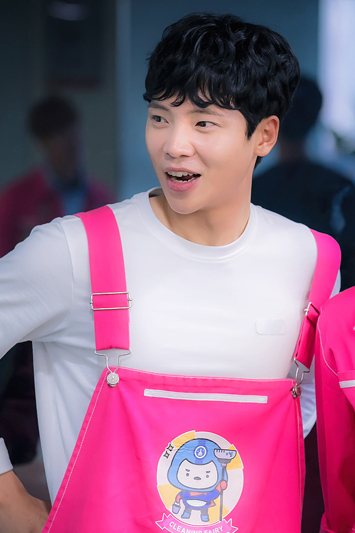 JANG SUN-GYUL (Yoon Kyun Sang) has mysophobia (fear of germs) and runs a cleaning company. He meets GIL OH-SOL (Kim Yoo Jung). She has a bright personality and she does not mind getting dirty. 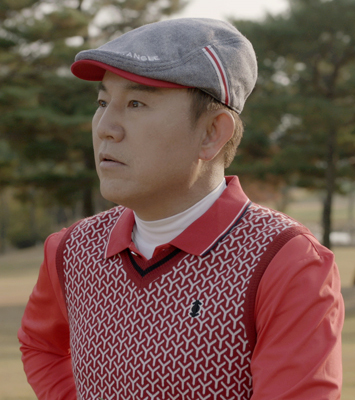 With the help of GIL OH-SOL, JANG SUN-GYUL faces his mysophobia and falls in love with her. A woman with a positive personality who doesn't care about dirtiness and possesses a strong stomach endurance. 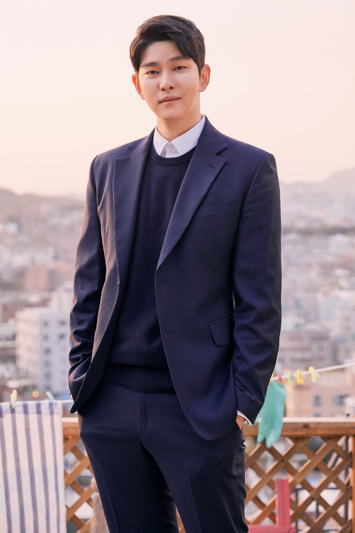 A handsome man who suffers from mysophobia and is the CEO of a cleaning company. Mysterious man who lives on the rooftop of Oh Sol's apartment building. Please follow the FORUM RULES! Don't post any requests for subs. Anything unrelated to the drama is considered spamming. Don't post illegal streaming links. YES! another kim you jung drama can't wait for it, when will this air and did they start shooting already? the handler of you jung is very cautious on accepting roles. and i like that is just i miss her on small screen for me she is the best among her generation. Since there is no official confirmation for Kim Yoo Jung or any other actress/actor as the lead I will lock down this thread until news say otherwise. Since apparently Kim Yoo Jung was confirmed as the female lead today, this thread will be now unlocked and you can all enjoy the pre-drama discussions. 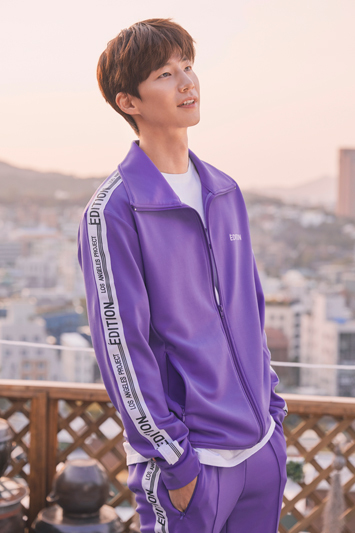 Song Jae-rim was offered to play a character which is newly created for the drama. So maybe he was offered the 2nd male lead? Meanwhile Ahn Hyo-seop is still reviewing the project as the male lead. So please stay tuned for the official confirmation for the male lead. He directed dramas like Queen Insoo, Cruel Palace, Who Are You?, Romance Zero and Personal Preference. Writer of My Mind's Flower Rain (tv novel), Gunman in Joseon and Our Happy Days Of Youth. Dramas produced by Drama House: Painter of the Wind, Cruel Palace, Queen Insoo and as for slice of life drama: Age of Youth, My Wife's Credentials and Can We Get Married? Yay! Finally we get to see Yoo Jung on a weekly basis again. So excited with her casting news. I'm not familiar with the webtoon, but I trust Yoo Jung and her choice. I've read mixed responses over this on DB and others. 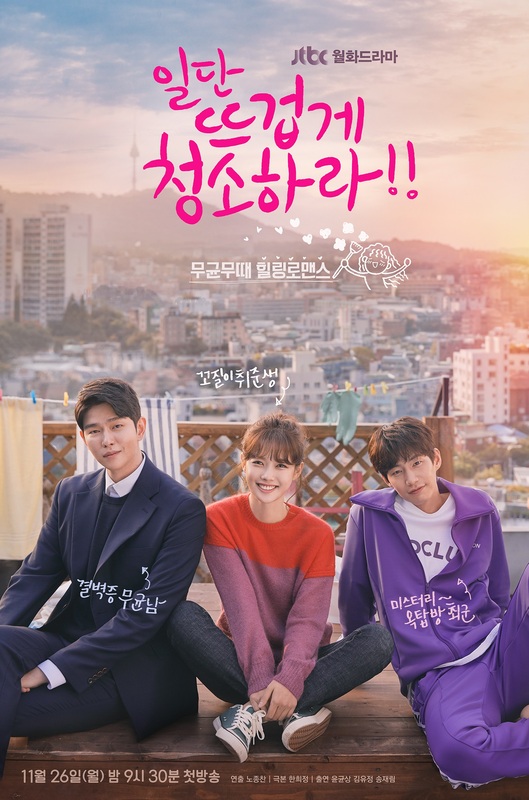 Honestly, I'm fine with Yoo Jung doing a romcom more especially since her age fits the heroine's age. I know romcoms can be a flat dull lolly, but it all depends on the actor/actress and the overall execution. I hope Yoo Jung prove the skeptics wrong. As for the potential male lead, I honestly never heard about AHS before. So I marathoned his 6-episode drama Queen of the Ring. Several posters on DB deemed AHS's acting wooden. I can't say his delivery in QOTR wooden. He's green and untested, yes, but not wooden. 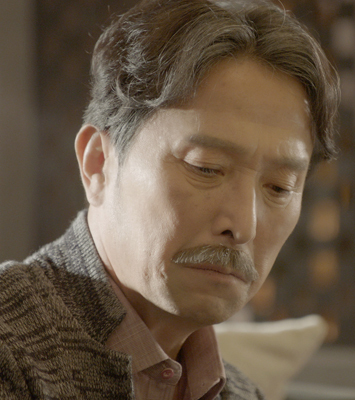 I've seen wooden, camera-conscious acting, but not in him (at least not in that short drama). If they cast him, I hope his character is well written and he delivers. Now I'm going to set off my lanterns carrying all my good wishes for Yoo Jung and her new project. PS. A very belated congratulations to @Jillia for becoming a junior mod. Hope you're going to stay around and kindly offer us your fantastic insights on this one. Thank you so much, @happysloth, for your congratulations! And I'm very happy to see you here as well. I'm most likely here to stay since I was waiting for Kim Yoo Jung to confirm for a new project and now it's here. YAY! I honestly wasn't sure about this particular project though. But I trust Kim Yoo Jung since it took her 2 months to officially confirm for this role and therefore for this drama. As for Ahn Hyo-seop: I recently watched Father is Strange and that's the only project I saw him in so I can only be the judge of his acting abilities there. And while I don't think he is a brilliant actor I've seen worse actors out there and like you, @happysloth, I wouldn't call his acting wooden. He is charming and warm. 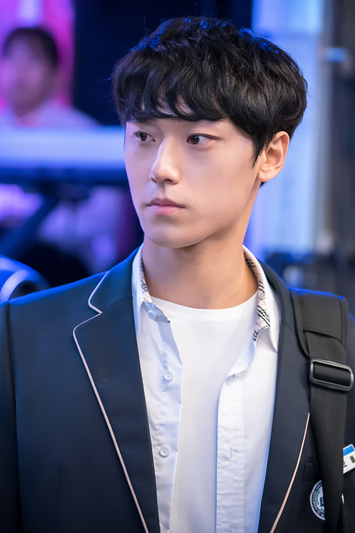 If they cast him I will be happy because he is actually close to Kim Yoo Jung's age and this makes a nice visual candy and I can imagine they will have a nice chemistry on screen as well. I would find it unfair to say - what I read on other social media sites - she needs an actor with more experience and better acting chops when he is young and doesn't have as much projects under his belt. But there needs to be a official confirmation first anyways. It's based on the same-named webtoon. True that. That'd be nice and perfect. The thing is, a more experienced actor can mean a much older guy (which will spark rage of some). If I can have my way, I'd want to see her paired up with a young, up and coming actor like Ji Soo (a girl can wish ). Oh well let us wait for further details. Its Confirmed!!! lets support them and pray for the best!!! Btw thanks to @Jillia for making this thread!!! ah and congratulations for becoming junior mod!!! Thank you so much for your congratulations, @ailanthus! As expected. Ahn Hyo Seop has been confirmed as the male lead, playing the CEO of a cleaning company: JANG SUN-GYUL. Yes, exactly! Ahn Hyo Seop from FIS. So happy to see you here. hihihi... I read the summary and I am interested to see how Mr. Mysophobia meets the girl. You know I have seen lots of similar topic of this story in our tv drama here. So is this based on webtoon? I hope the drama writing will be good. And please be good. Glad to see you too @Jillia let's have some fun more later. Hoping someone can translate this article, there is a paragraph saying that AHS was casted after consecutive meetings and audition with fierce competition? It might be a google translate thing and is not accurate but I hope its true. I hope YJ was involved in that 3 month casting audition if there is really any. The official said, "We cast An Hyo-seop as a pre-requisite through several meetings. 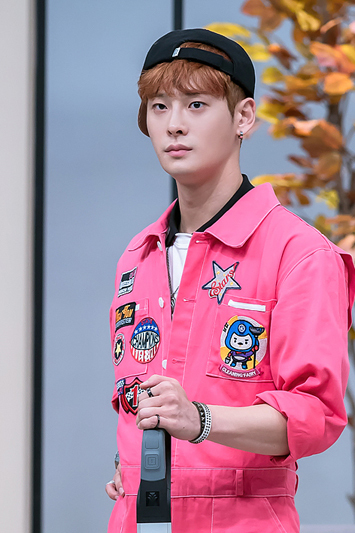 "It is an expressive rookie who has a sense of character in the audition conducted in a fierce competition and has an irreplaceable charm that seems to have drawn a comic book into reality." I like the age and the physical aspect of the casting. AHS is good looking and their age difference is really good. 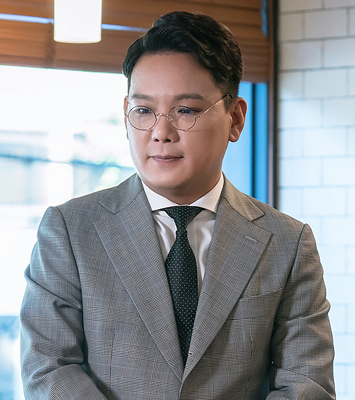 I have tried to watch him in Father is Strange and he is stiff and I can't feel anything from his acting there. But I watched him in Queen of the Ring and he is better (maybe because his role can do more), he is a little charming but still lacking. But if they really did an audition here, maybe the role fits him and he did well for him to be casted. I hope AHS's character is endearing, as long as he and YJ has chemistry, this might work then. I hope YJ's character is good too, bright but hope to have substance. Hwaiting! Hoping someone can translate this article, there is a paragraph saying that AHS was casted after consecutive meetings and audition with fierce competition? It might be a google translate thing but I hope its true. I hope YJ was involved in that 3 month casting audition if there is really any. oh. they conducted an audition.